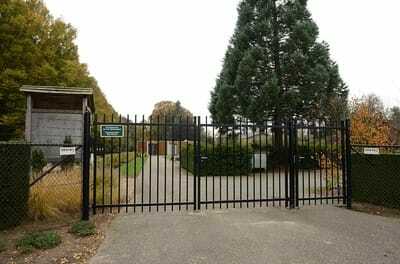 Otterlo is a small village administered by the town of Ede. It lies 10 kilometres north-east of Ede, and is in the heart of the great Dutch National Park, "Hooge Veluwe". 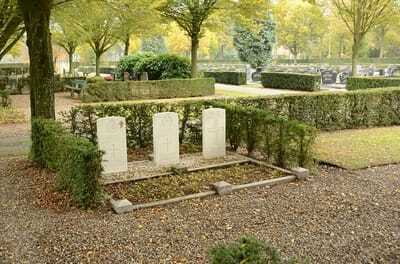 The cemetery is about 273 metres north-east of the village centre, near the road to Apeldoorn. 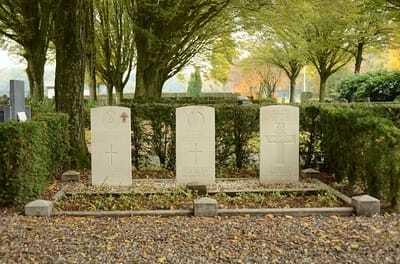 The three British graves are on the eastern side of the main path. ​2115223 Lance Serjeant George Roland Hancox, 617 Assault Squadron, Royal Engineers, died 17th April 1945, aged 34. Plot L. 1. 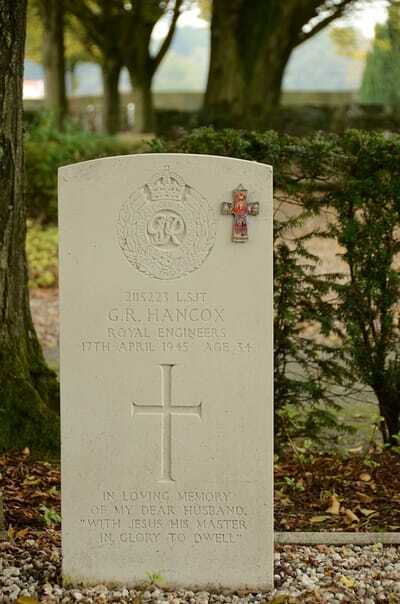 Son of James and Fanny Geraldine Hancox; husband of Iris Hancox, of Hillfields, Coventry. 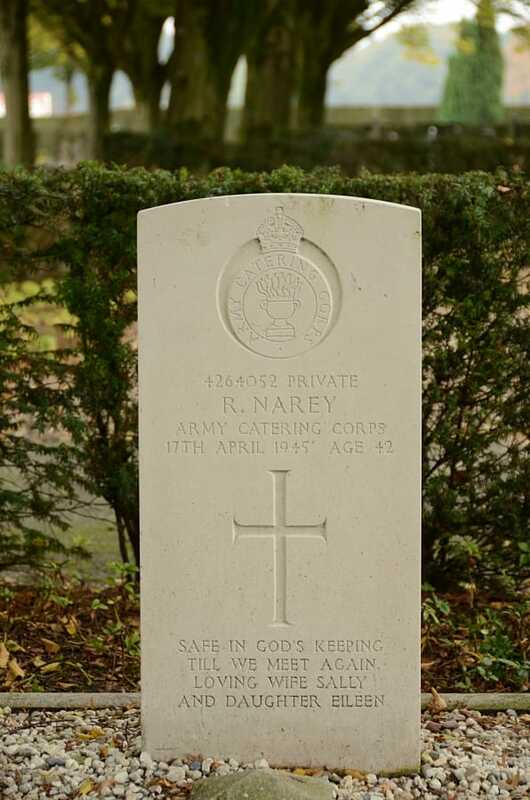 4264052 Private Roger Narey, Army Catering Corps attached to Royal Artillery, died 17th April 1945, aged 42. Plot L. 2. Son of Roger and Hannah Narey; husband of Sarah Ann Narey, of Staithes, Yorkshire. 5442026 Gunner Harry Tambling, 3 Medium Regiment, Royal Artillery, died 17th April 1945, aged 31. Plot L. 3. 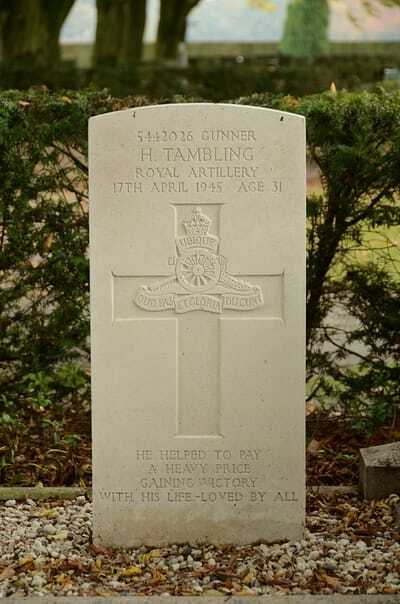 Son of Edwin and Emily Louisa Tambling, of Looe, Cornwall.